Dr. Wayne Dyer, Brian Tracy, David Ricklan, John Assaraf, Gavin Kelly, Robert Mesmer, Dr. Larry Trot and 45 other experts. Life can present us with tremendous adversity. Yet misfortunesand hardships can actually be transforming - you become a stronger, wiser individual able to maximize your full potential. Others have done as much under very difficult conditions. They bounced back, stopped living in the past, and made the conscious decision to live life's passion. They did not merely survive; they thrived despite difficult times. Adversity comes in all shapes and sizes. It is a personal thing to each of us. What makes the difference are the actions you take to raise yourself up, even when you think you can't go any farther. What will you do to persevere? Invest in yourself today! 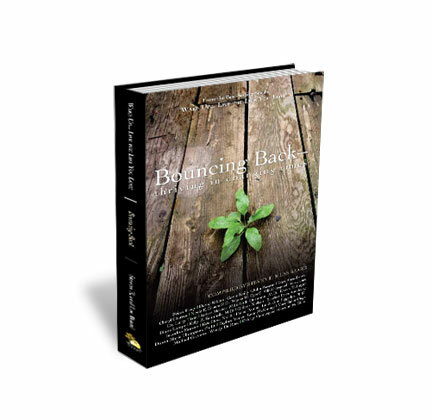 BOUNCING BACK- Thriving in Changing times.